Myonox promises to “turn your body into a muscle building machine,” becoming an integral part of the training process for bodybuilders and elite athletes. Myonox is far from the only pre-workout supplement to promise an increase in strength, endurance and energy. Myonox could really be the exceptional muscle-builder its manufacturers promise it is. This unique supplement contains 4 proprietary blends specifically formulated to amplify muscle growth, strength, and power. According to manufacturers, Myonox is “packed with twice the active ingredients of its closest competitor.” But can Myonox deliver? Let’s examine the formula to find out. Myonox targets muscle growth and athletic performance from multiple angles, covering all the basics to give you the workout you deserve. Here’s a Basic Breakdown Of What You’ll Find In Myonox. Arginine is essential for nitric oxide production. Nitric oxide relaxes blood vessels to improve circulation and flow. With more blood pumping, your muscles will receive the nutrients and oxygen they need to work harder and longer. The AKG molecule attached to the amino acid transports arginine to the muscles for faster absorption. Citrulline is also a nitric oxide precursor. When combined with malic acid to create citrulline malate, the molecule becomes easier to digest in the stomach. This reduces nausea and intestinal discomfort. Creatine causes the muscle cells to inflate. This draws nutrients and water into the cells to significantly improve muscle growth and strength. Furthermore, creatine increases ATP production for heightened energy levels and performance. This non-essential amino acid is not used in protein production like other amino acids. Instead, it increases muscular strength and power output; boosts muscle mass, and enhance anaerobic and aerobic endurance. A creatine monohydrate with hydrochloric acid blend, creatine HCL is easier to digest than regular creatine monohydrate and is the fastest-absorbing creatine. This significantly reduces nausea and stomach upset while simultaneously promoting muscle growth. L-Tyrosine is a natural precursor to many hormones such as dopamine, norepinephrine, and epinephrine. Additionally, this amino acid supports healthy brain function and focus. This nutrient relaxes the sympathetic nervous system, significantly increasing the body’s ability to cope with stress. Furthermore it lowers blood pressure and protects against congestive heart failure. This powerful stimulant increases mental focus and boosts physical performance. It blocks adenosine receptors to trigger a flight or fight response. That’s quite the list! But it doesn’t stop there. Myonox also offers multiple vitamins, minerals, and electrolytes to boost immunity and optimize health and performance. Myonox does not rely heavily on stimulants, steroids, or other drugs to help you achieve the results you want. 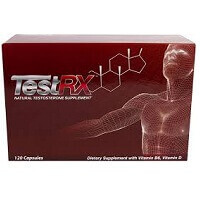 Rather, it utilizes clinically proven ingredients to build muscle safely and naturally. However, this does not mean Myonox is completely side-effect free. Myonox contains high creatine concentrations which (as mentioned earlier) causes muscle cells to inflate. This quickly draws water into the muscle cells, but the water is pulled from other places in the body and may result in dehydration, muscle cramps, stomach aches, and nausea. Additionally, Myonox contains unknown caffeine concentrations. Caffeine is widely known for its side effects: dizziness, nausea, anxiety, insomnia, mood swings, and jitters. Additionally, caffeine interacts negatively with medications such as blood thinners and antibiotics. To ensure safety, consult a doctor before using Myonox. Myonox is designed to accompany a healthy diet and exercise program. It’s easy to use and mixes well with water. According to the directions on the label, simply mix 1-2 scoops of Myonox with 6-8 oz. of water. Like many other muscle powders, Myonox contains artificial and natural sweeteners to give it flavour – but whether you like the flavour depends on your individual preferences. You can find Myonox at second-party online distributors such as Best in Market, but most users say that the best place to by Myonox is straight from the manufacturer. Although it is more expensive, you get a full money back guarantee if you don’t like your results with Myonox and you get discounts for buying in bulk. Is Myonox Worth A Try? Myonox has a very impressive formula and has even more impressive feedback from users who have tried Myonox before. Because of this, there is no problem recommending Myonox. Myonox has a lot to offer when it comes to improving your muscle-building experience. The ingredients are proven to enhance growth and energy, the side effects are minimal, and the consumer reviews remain positive. Add on a great 90 day guarantee and Myonox easily outperforms its competitors. But what do you think about Myonox? Is it worth it?